The «architecture» of the Oude Kerk (« old church » – located in Amsterdam’s center) is translated into a musical piece for organ. 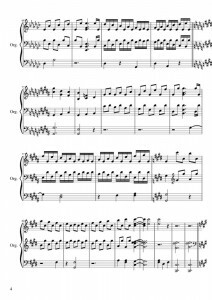 It is played on the transept organ in the church itself. The research on links between structural layers, between physic and metaphysic space (inner-outer world, mind architecture, mythology as geology,..) led me to be interested by correspondences between a physical space and a «sound-scape», as an exercise of translation between to different world/layers, both functioning in numerical systems. The first part of the project was the invention of a translation system, from the church’s actual dimensions to sounds, using mathematics. However, this could be done in thousands of different ways. Instead of inventing a wholly new musical system, the classical music one was chosen to write the partition, as it is deeply linked to religious architecture. The building of such type of cathedral is filled by metaphysical ideals (theologic, esoteric, etc.) beyond structural architectural aspects; and it is physically linked to music through the presence of the organ, which is, more than site-specific, a part of its own structure. Religious buildings and the religious music played inside (organ, choir, etc.) were both made to elevate the «soul» from a physical level to a metaphysical one. A plan of the church was used to define a system that could be translated in classical music. 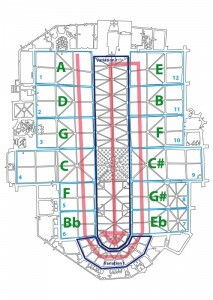 The two lateral alleys were divided in six modules each, to be read from 1 to 12, and from West to East on the left side, then through the corridor around the choir and then from East to West in the right alley. We finally read the nave from West to East again straight to the choir. This way of reading is designing a spiral. The flagstones of the floor gave the structural idea to create the partition. 5 stones, by modules, are counted on the small side; as classical music writing has 5 lines to write the music, they were applied to these 5 ranges of stones. To give a time structure, the stones on the long side were counted. For example, here is the first module: there are 7×3 stones = 21. To obtain the same amount of quarter notes (chosen as a unity), 7 measures of 3 quarter notes (3/4) are giving the same 21. 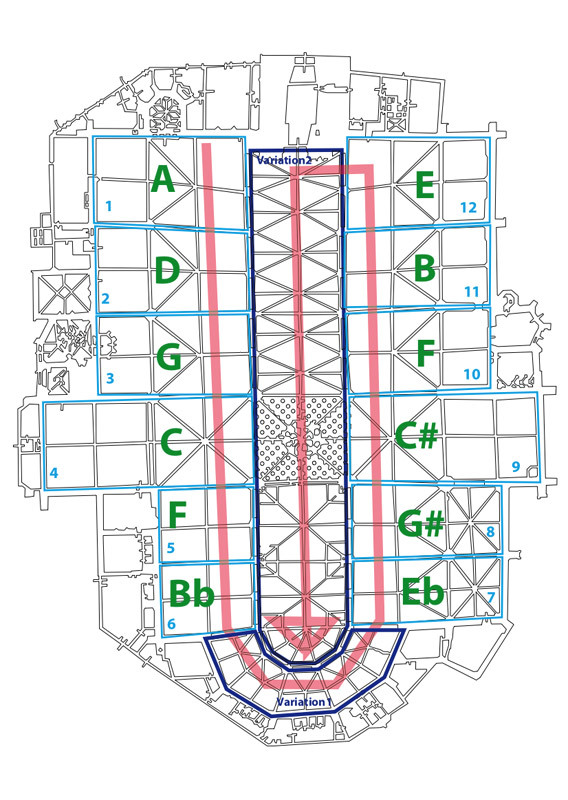 Following the organ keyboard possibilities, the elements to transcript were divided in three parts: the floor, the ceiling and the «middle space», composed by the pillars, the archs, the windows and the «in-between» space. The transept organ of the Oude Kerk has 3 keyboards, two parallels for the hands and one for the feet (this one has 2 octaves). The two upper ones «describe» the «middle space» and the ceiling; and the lower one the floor. 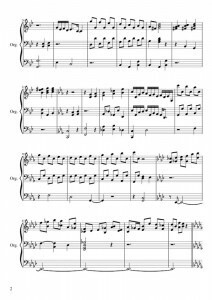 Melody is made by following the modules from 1 to 12 passing by a transition in the choir, then going through in the nave. 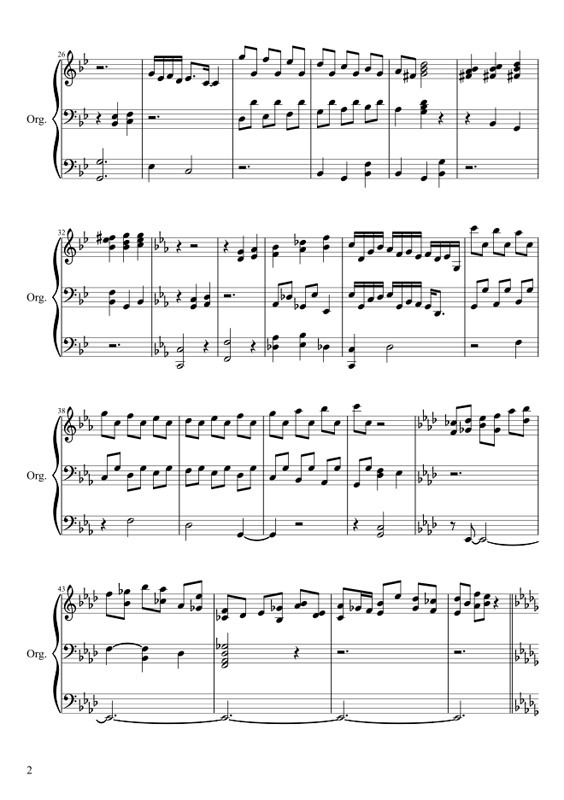 The «cycle of fifth», following the 12 tonalities of the classical musical system from alteration to alteration (sharp and flat) was used in the minor scales. 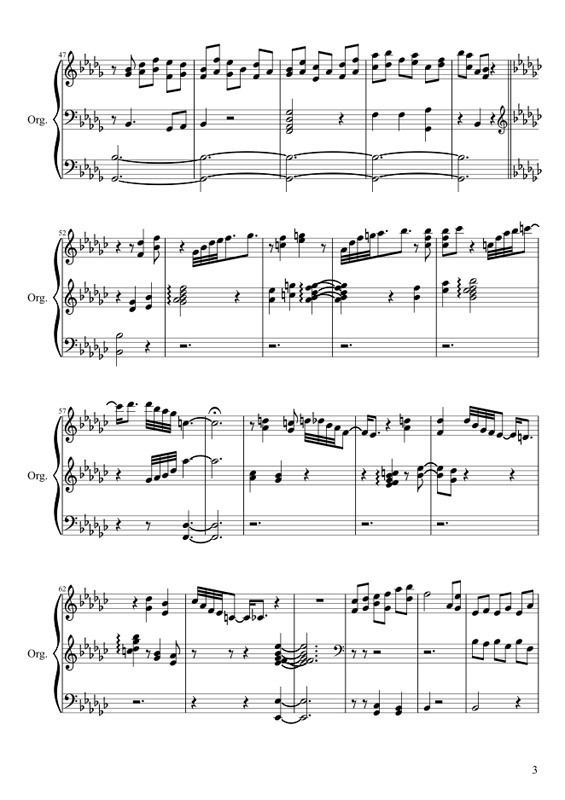 Adopting this system, I could make a «harmonic» piece, as the small alteration between each scale permits it. So from west to east, from 1 to 6, we go to more «alterations», sharps and flats. 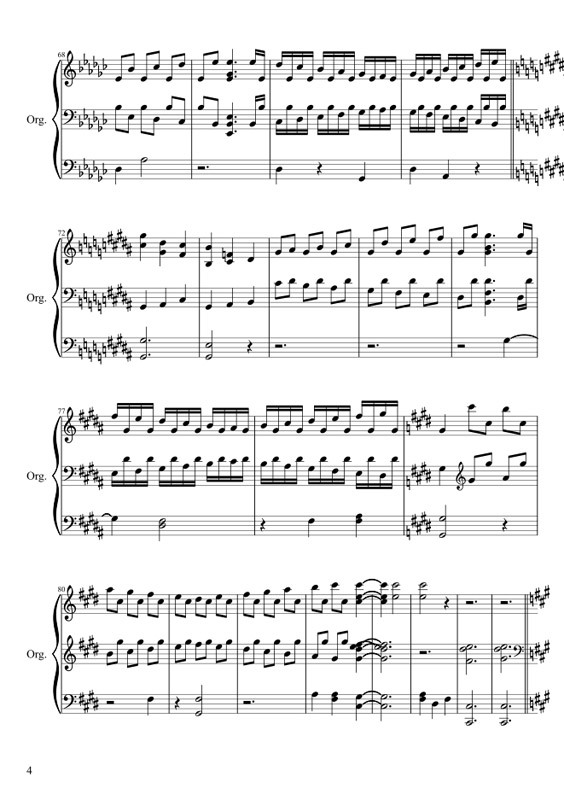 The «variation 1», in the choir, consists of only sharp/flat notes. Then, from 7 to 12, from East to West, we «repare» the «alterations», going to the «white» keys. 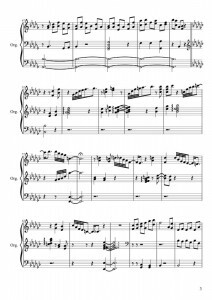 Finally, arriving to the nave, we go through all the different tonalities that we met, altering progressively to arrive again in the «sharps/flats» zone, as a final (accelereting the process of alteration after the return to normal).